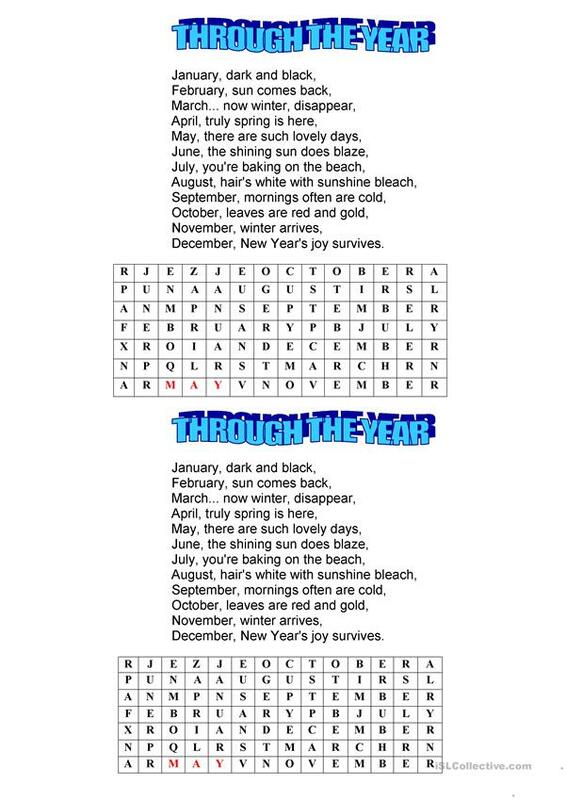 There is a poem with description of the monthes and wordsearch. This downloadable handout was created for elementary school students at Elementary (A1) and Pre-intermediate (A2) level. It is excellent for improving your groups' Reading and Writing skills. It focuses on the vocabulary topic of Weather. jukavi is from/lives in Belarus and has been a member of iSLCollective since 2012-09-05 20:56:48. jukavi last logged in on 2019-04-10 21:24:52, and has shared 60 resources on iSLCollective so far.